About Us | Morris Maintenance Inc.
Morris Maintenance & Conestoga Window Cleaning is a full-service cleaning company based in Lancaster County, PA. For over 60 years our family owned and operated company has offered top-notch window cleaning, janitorial services, pressure washing, move-in/out cleaning and rental property turnover services in the Lancaster area and beyond. We've recently added complete estate clean outs for our customers to maximize the value of their loved ones' personal property and ready their homes for resale. 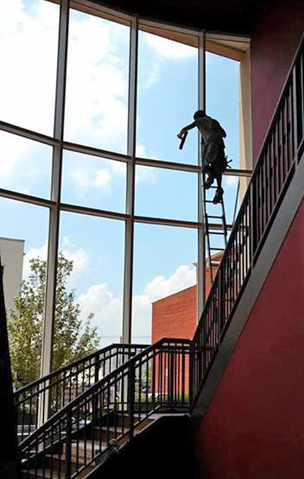 Why Work with Morris Maintenance & Conestoga Window Cleaning? Communication is vital to our business at Morris Maintenance. That's why we listen to our customer's needs and tailor our services to meet those needs. We welcome your input when scheduling service at your home or office. Plus, we strive to keep you informed about upcoming schedules or any issues that come up during your project. Whether we visit your home or business one time or on a regularly scheduled basis, we at Morris Maintenance understand the importance of accurate billing for every job we do. 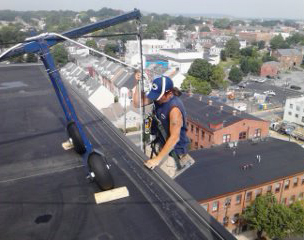 Our offices are located in Lancaster, PA and we serve customers throughout Lancaster County and beyond. We're proud to provide a variety of services that offer maximum value for our customers throughout the local community. Trust is the cornerstone of our business at Morris Maintenance. Our experienced staff is trained to treat your home or office as they would their own, safeguarding your personal property and treating your home or place of business with dignity and respect. Our staff of window cleaners, janitorial personnel and pressure washers have many years of experience for professional results on every job! Want to know more about Morris Maintenance & Conestoga Window Cleaning or schedule service? Contact us today for a free estimate for all your janitorial, pressure washing or estate service needs!